A new campaign is underway to restore cursive to Minnesota classrooms. Legislation introduced Thursday in the state Senate would require the Minnesota Department of Education to develop a model curriculum "to enable students to develop legible cursive handwriting skills by the end of grade 5." The proposal wouldn't command school districts to teach the handwriting skill, but those that do could qualify for grants. The size of those grants hasn't been determined. The bill's sponsor, Sen. Ann Rest, said it's clear to her that attention to cursive has slipped. Rest, DFL-New Hope, recounted a time recently when she wrote a note to a 15-year-old. She handed the note to the teenager. He handed it back. "He said, 'You'll have to read this to me,'" Rest said. "I understand that penmanship is a hard skill for a lot of young people, but they at least ought to be able to read it." It left Rest incredulous and set her on a mission. 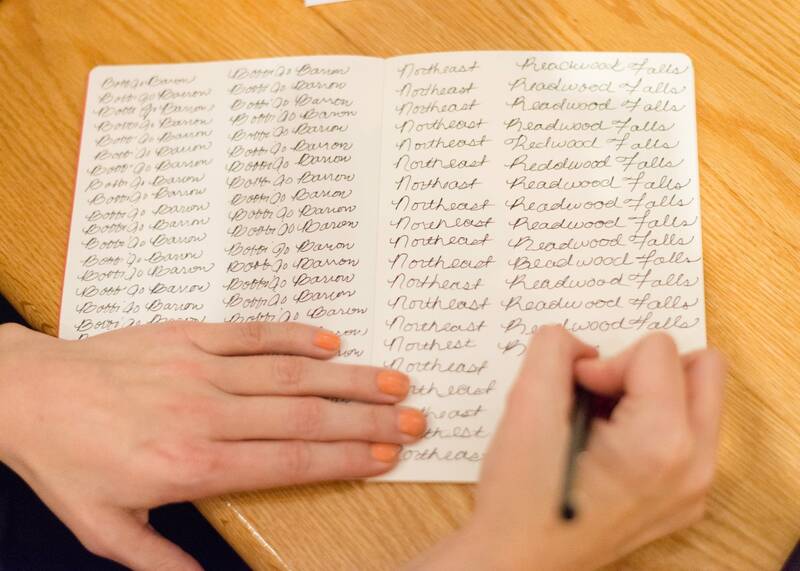 She looked into what other states are doing, she's studied curriculum that's already out there that could be adapted and she began talking to school leaders in her district about ways to introduce students to cursive. Minnesota would join states such as Arizona, Arkansas, Texas and about a dozen others that have some acknowledgement of cursive in their education standards. Rest fought back against the notion that cursive is a diminishing need in the age of texting, emailing and video chatting. "Cursive writing should not become a major in college, as if it were Latin," Rest said. She added that the Declaration of Independence and other founding documents were written in cursive. "Young people should be able to read the documents of our country without having to stand there looking ignorant and waiting for someone to type it out on a keyboard," Rest said. Her bill has bipartisan backing. Sen. Carla Nelson, the chairwoman of the Senate's education committee, is a co-sponsor. Nelson, R-Rochester, reminisced about her own introduction to cursive. "I remember those classes in fourth grade," she said. Nelson said there's societal value to keeping cursive alive. "I think this is something that Minnesotans would like to know that their students, the grandchildren, their children are going to be able to read the cursive thank-you notes sent from their grandmothers," Nelson said. "It's part of our culture." As for the bill's demand that the handwriting be "legible," that's open to debate she acknowledged. "Legibility is always in the eye of the beholder," Nelson said. "But the goal should be that people can read it."